Gout is a common, recurrent condition characterized by inflammation of the joints in which uric acid crystals are deposited within the joints. This can be caused by uric acid overproduction or uric acid under excretion by the kidneys. This causes higher blood uric acid levels. The condition is seen more frequently seen in males than females. Frequently, it appears in the big toe joint but may also involve any of the joints of the limbs. If gout is left untreated, the joints involved may be damaged and surrounding tissues as well. Kidney stones may also form. Five to ten percent of the population normally has high blood levels of uric acid. This is called hyperuricemia, although they are not considered to have gout if they do not show signs and symptoms. There are a lot of factors that increase the risk of gout formation. Some medications may cause gout including diuretics like hydrochlorothiazide and furosemide. Certain antibiotics can also cause gout. Gout is more likely to appear with disorders such as leukemia, polycythemia, thyroid disease, kidney disease, high blood pressure, diabetes, high cholesterol, anemia, coronary occlusive disease, and blood vessel diseases. Other things that increase the risk of gout are family history, male gender, above the age of 50, increased weight, trauma, surgery, emotional stress, chemotherapy, and radiation treatments. Diet can also contribute to the risk of gout development and a diet high in protein and high in purines can cause an increased risk of gout. * Sudden, severe joint pain that happens within hours, especially on the big toe. Sometimes the weight of bed sheets may even be intolerable. The individual may be awakened from sleep due to the sudden intense pain. * Joint is red, hot and swollen. * Skin above the affected joint may be tight and shiny. * Painless, firm nodules on the external ear cartilage. These are sometimes observed on the fingers, hands, feet, Achilles tendon and under surface of forearm. This is rare and frequently occurs over time. It happens in what is termed as chronic tophaceous gout. The nodules are known as tophi, the plural form of tophus. * Joint fluid analysis or arthrocentesis is the only way to specifically diagnose gout. This is to determine whether uric acid crystals are present. Levels of blood uric acid can sometimes be misleading and is not diagnostic of gout by itself. Other diagnostic methods are through xrays of the hands and feet and bone scan. * NSAIDs or non steroidal anti inflammatory drugs like ibuprofen, naproxen, or indomethacin. * Medication to decrease production of uric acid, such as allopurinol. * Medication to increase uric acid excretion by the kidneys, such as probenecid. 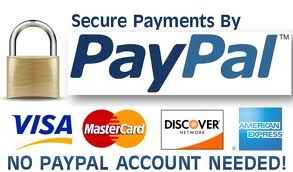 * Some medications such as colchicines and prednisolone. * Warm or cold compresses on affected areas. * Keep bedclothes away from the painful joint. Design a frame that raises the sheets and blankets. * Avoid eating anchovies, veal, bacon, liver, salmon, trout, goose, scallops and kidney. Drink at least 10 glasses of water every day to assist in flushing out the uric acid crystals from the body and prevent stone formation. * Avoid alcohol since it can raise uric acid levels and evoke an episode of gout. * Lose excess weight but do it slowly and under the supervision of a physician. Crash diets with rapid weight loss can trigger an attack. * In case of an acute attack, rest the affected joint immediately and for 24 hours after the attack. * Discuss the side effects of all other medications being taken. Be aware of the side effects of the medications you do take for gout. 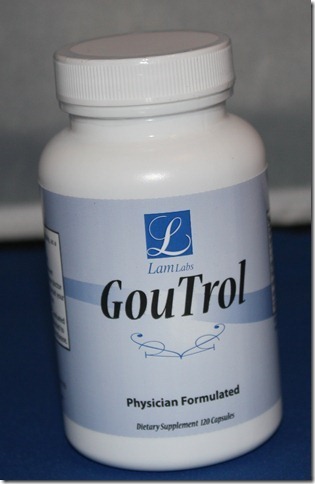 Natural gout supplements such as GouTrol from DrLamLabs.com have been helpful in soothing the symptoms in patients with gout.